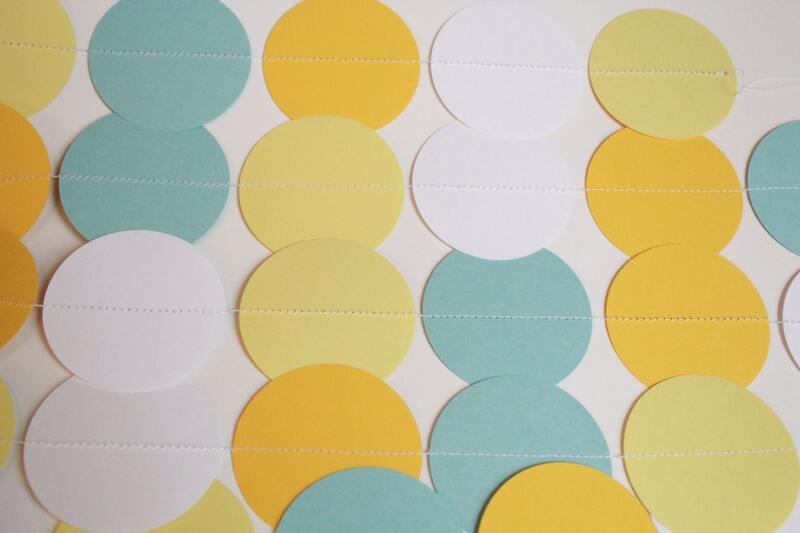 Paper garland makes a great decoration for baby showers, birthday parties, weddings or any other special occasion. 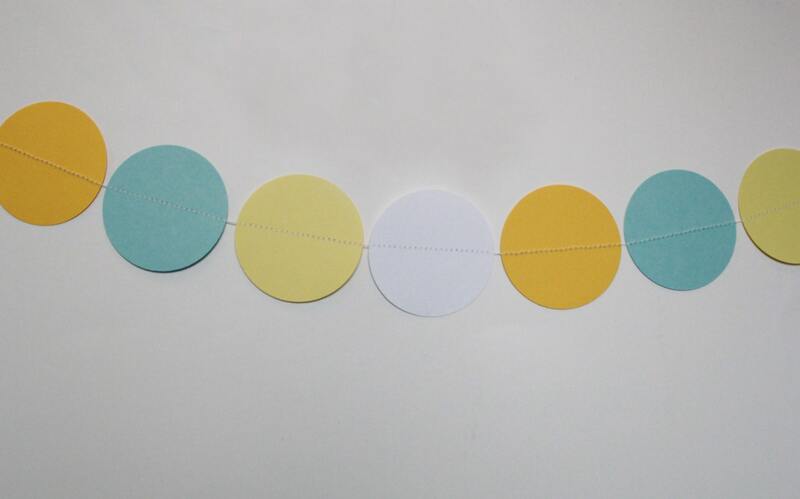 This garland makes a great backdrop behind a cake or dessert table and can be draped just about anywhere to add some color to any party or gathering. 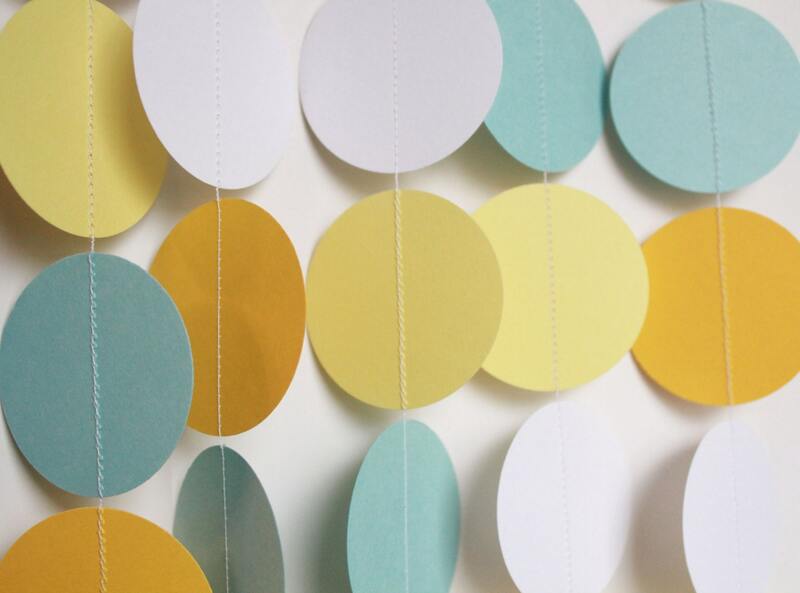 This paper garland is made of card stock paper circles that have been hand punched and sewn together with thread. 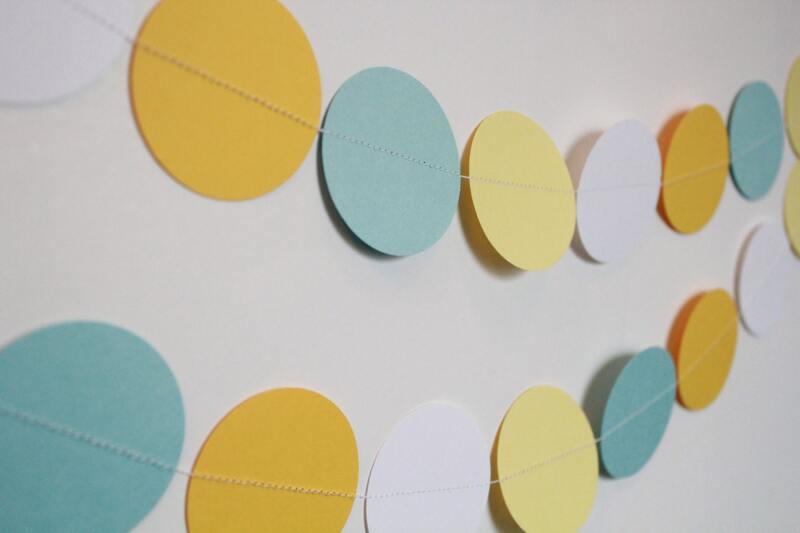 Each end of the garland has a long piece of thread that can be used to tape up the garland. Best part is this garland can be easily folded up and reused for another occasion. 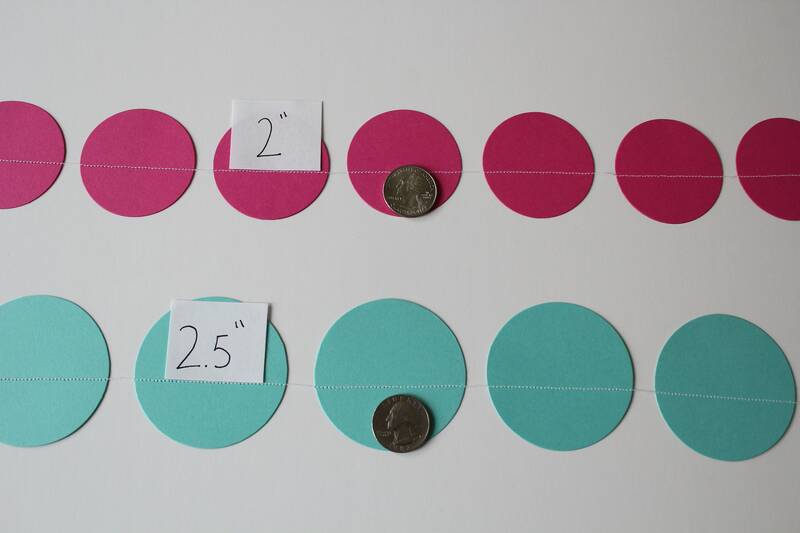 * Garland length, circle size and quantity of strands can be selected from the options above (photos show garland in the 2" circle size). *Price is for 1 strand of garland photos may show multiple strands of garland.